God makes the poor his priority. When the hungry pray, he listens. When orphans cry, he sees. Jesus, in his first message, declared his passion for the poor. Early in his ministry he returned to his hometown of Nazareth to deliver an inaugural address of sorts. He entered the same synagogue where he had worshipped as a young man and looked into the faces of the villagers. They were simple folk: stonecutters, carpenters, and craftsmen. They survived on minimal wages and lived beneath the shadow of Roman oppression. There wasn’t much good news in Nazareth. But this day was special. Jesus was in town. The hometown boy who had made the big time. They asked him to read Scripture, and he accepted. “And He was handed the book of the prophet Isaiah. And when He had opened the book, He found the place where it was written” (Luke 4:17). He shuffled the scroll toward the end of the text and read, “The Spirit of the Lord is upon Me, because He has anointed Me to preach the gospel to the poor; He has sent Me to heal the brokenhearted” (v. 18, quoting Isaiah 61:1). Jesus lifted his eyes from the parchment and quoted the rest of the words. The crowd, who cherished the words as much as he did, mouthed the lines along with him. “To proclaim liberty to the captives and recovery of sight to the blind, to set at liberty those who are oppressed; to proclaim the acceptable year of the Lord” (vv. 18–19). Jesus had a target audience. The poor. The brokenhearted. Captives. The blind and oppressed. His to-do list? Help for the body and soul, strength for the physical and spiritual, therapy for the temporal and eternal. “This is my mission statement,” Jesus declared. The Nazareth Manifesto. Precious Lord, you showed us by your life how to be compassionate. You reached out to the poor, the sick, the hurting. You healed their bodies and their souls. You cried over broken hearts, and you smiled when the downtrodden were lifted up. Teach us to do the same. Let our arms reach out to help the oppressed. May we willingly spend our lives serving those in need, amen. 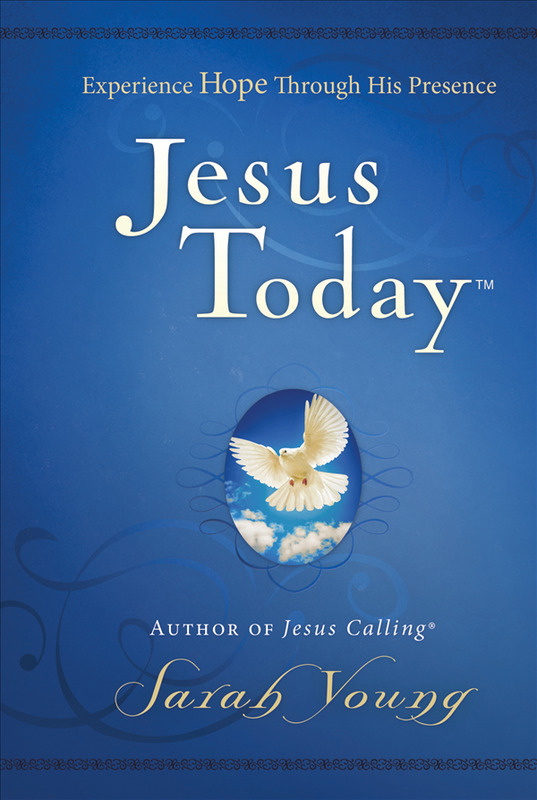 Written in the same style as Jesus Calling®, Jesus Today contains all-new devotions for a hope-filled walk with God. Born out of missionary Sarah Young’s own trials, Jesus Today shows that hope shines brightest in adversity. Grow in grace, hear from God, and walk with Jesus Today. The post Devotionals Daily: A Year with Jesus – March 22 appeared first on GodUpdates.